We are looking for PARTNERS!! We partner with parents, schools, service providers and other professionals to ensure that beyond a good education, children on our programme get the chance to develop socially, emotionally and physically, allowing them to reach their full potential. Bright Start would not be able to offer such a holistic package without the expertise and support of our diverse partners. Bright Start partners with early childhood centres and schools in the Hout Bay area from Valley Pre-Primary, Kronendal Primary, the International School of Hout Bay to Best Buddies. We also have children attending the German School (DSK), Bergvliet High School and Olyfkrans School in Swellendam. Our first high–school learners are attending Camps Bay High and Norman Henshilwood. In 2017, Bright Start will have two students starting at Wynberg Boy’s. Funding is mobilised from a combination of donors (corporate, foundations, trusts and individuals). Our sponsors are approximately 50% individual donors, 30% small to medium-sized corporates, 20% trust and foundations. Bright Start has a GivenGain account and we have also joined – UK Fund for Charities that targets UK taxpayers. 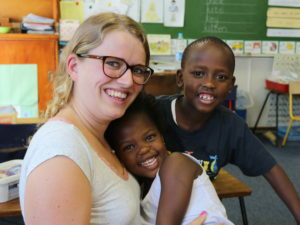 Bright Start has a number of volunteers in Cape Town, who contribute with their skills. We also have agreements with the 4Exchange and You2Africa agencies, which assist us with international volunteers. We prefer volunteers who remain with us for 6 months – 1 year. Video Producers / Editors – To produce and edit a 2-3 min story about one family on the programme. Accountants – To assist with accounting and finances. All assistance is appreciated, however, we do prefer a longer-term commitment, even if it means only 1- 2 hours a month. We are so encouraged by the holistic approach that Bright Start takes with their children. Including the parents and caregivers is vital to the continued success of the children. Bright Start has a winner programme. Keep up the good work!! As we all know a child requires different kinds of care and support to develop and grow. Bright Start is very fortunate to be provided with services, often at discounted prices from a wide range of professionals including doctors, dentists and occupational therapists. They provide that little bit extra to ensure the children are healthy and confident. Hout Bay is a family friendly town, and the options in extra-mural activities are huge. Each child has his or her own interests, however swimming is an activity we expect all children to attend for safety purposes. 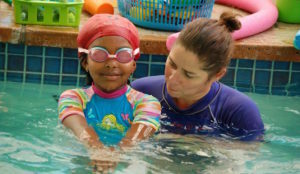 Wendy Paarman has been involved from the start providing the children with swimming lessons. We also receive support from local businesses in the area in arranging events, IT, catering, security, printing and transport costs. I have been working with Bright Start kids since 2008 and it has been a privilege to watch children who are initially scared of water splashing around like seals…..